Tempo, constructed by Amacon. 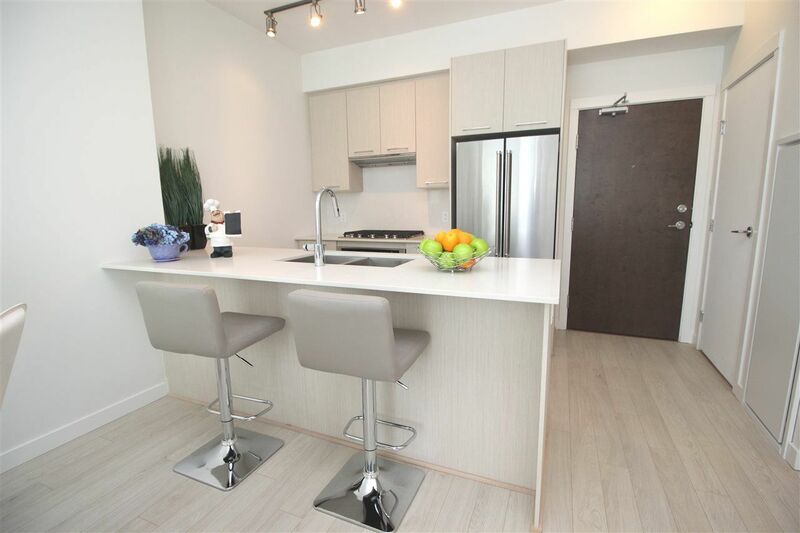 This 9 feet ceiling one bedroom and a den penthouse unit features spacious floor plan, gourmet kitchen with polished stone countertops, Kitchen Aid Stainless Steel Appliances, central heating & cooling system with insuite heat pumps. Amenities include indoor swimming pool and hot tub, exercise centre, dance/yoga studio, and club house. Strata fees include water & sewage fee. Steps to Lansdowne Skytrain Station, City Centre Community Centre, Richmond Olympic Oval, T&T Supermarket, Shopping Mall, Restaurants & more.